Kids will want to help prepare this refreshing, easy to make mint candy—sure to be one of their favorites during the Holidays. 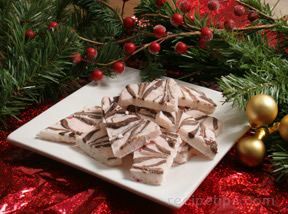 Place white almond bark in a microwave safe bowl, heat for 5-6 minutes, stirring occasionally until melted and smooth. 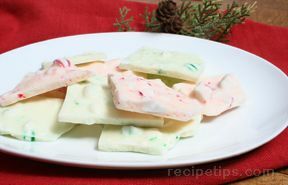 Chop up the candies and stir into melted mixture. Spread evenly onto a greased cookie sheet. Allow to chill in the refrigerator for approximately 1 hour. 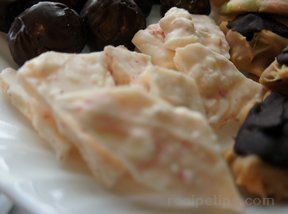 *Optional - you can use spearmint candies to add a green color to your platter.